Protects your battery from being overcharged by solar power panel arrays up to 90 Watts. 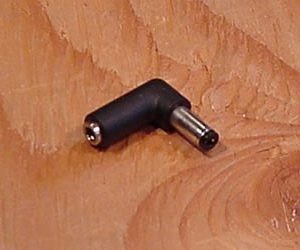 Wired with Powerfilm compatible weatherpack connectors. 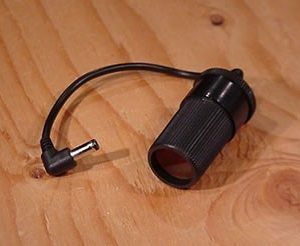 If you are charging a small SLA battery from a solar panel of 10-90 Watts, then this accessory is a good idea. The PowerFilm solar panels operate at a nominal 15.4V, and are therefore NOT prone to overcharging larger batteries (100 amp-hours & larger). 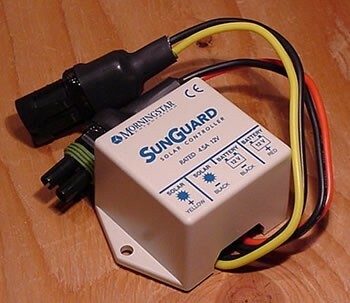 Be sure to use a charge controller like this one with panels of 30-90 Watts. 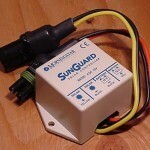 This is, of course, the popular Morningstar SunGuard solar charge controller. 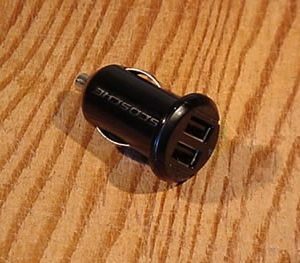 If you’d like to have the controller without the Powerfilm connectors, it is available here.